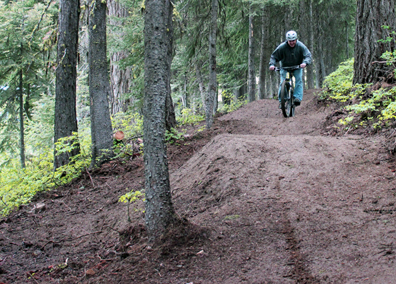 The ever-expanding Brundage Mountain Bike Park offers a full spectrum of mountain biking experiences. Beginner riders can get comfortable with mountain bike trails as they practice bank turns and gentle rollers in our new Base-area beginner loop. Every level of rider will enjoy the 6-mile all-mountain traverse of the popular and flow-friendly Elk Trail. For a bigger adrenaline rush, head out to Hidden Valley to put your downhill skills to the test. A 12 minute ride on the BlueBird Quad puts you at our 7,640 foot summit, with 20+ miles of hand-built single track spreading out below. With amazing trail variety and miles of new trail being added each year, the experience always stays fresh. A cruise down the six-mile Elk Trail gives you a great overview of the mountain terrain. The more exposed top section provides views of the Payette Lakes and surrounding mountains. Dip below the tree-line and you’ll enjoy firm, tacky, shaded trails and scenic creek crossings. Adrenaline junkies will get their fill as they tackle the infamous Hidden Valley trail. Hidden Valley’s rock gardens and white knuckle drops will get your heart thumping as you begin the 1600+ foot vertical drop through ever-changing terrain and flowing rhythm sections. Features include big jumps and drops, tight corners, log rides and fast chutes. Newly-constructed options on the lower portion of the trail allow riders to boost the intensity to the skill and thrill level of their choosing. 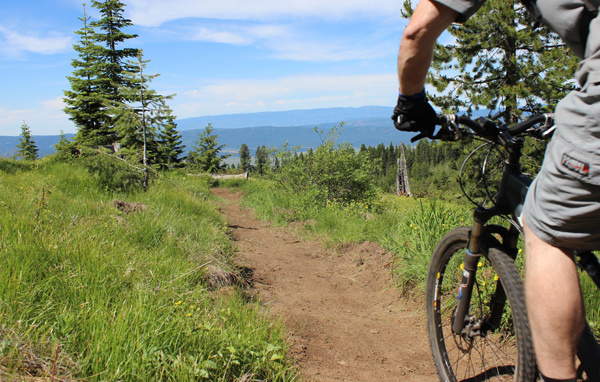 The Brundage Mountain Bike Park offers a full fleet of rental bikes, including downhill, cross-country and youth-sized bikes, available on a first-come, first-served basis. Check out our Introductory Special and Late-Arrival Pricing if you’re looking for a deal or consider a Thursday or Friday visit if you’re bringing a big group in need of rentals. Located in the base area, the Beginner Loop & Triple Play trails are the perfect practice playground for greenbelt riders who want to transition into downhill mountain bikers. Rolling terrain, wider trails and well-spaced bank turns will build your skills in no time. 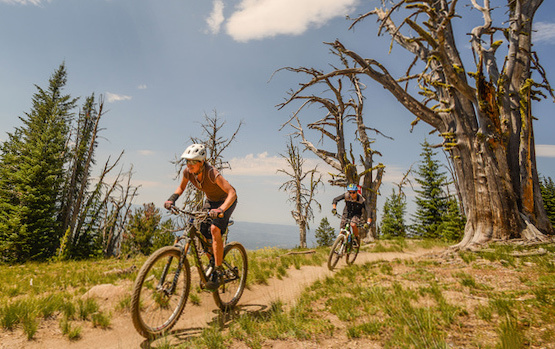 The best part, there is no charge to use the Beginner Loop or Triple Play trails, so you can take as many laps as you’d like until you feel confident and ready to take on the true alpine challenge provided on the higher-elevation downhill trails. Use your own mountain bike or rent one from our fleet to get a taste of the full single track experience.